But it is time to go to the SF Bay Area to visit family and do a couple of art errands. Oola and I will travel on HWY 101 (mostly). So we say goodby to the Killdeers and head out early on the next adventure. the lake is having as much trouble waking up as we are. The wind picks up, and soon we are on the Pacific Coast. We make a stop at rugged Ruby Beach where abundant wildflowers are whipped about on the bluff. A few hours later we are in Cape Disappointment State Park. It is located where the Columbia River meets at the Pacific Ocean. And you will remember from your history, this is where Lewis and Clark and company completed their contract. I wanted to camp where they camped. And, if signs can be believed, I did. 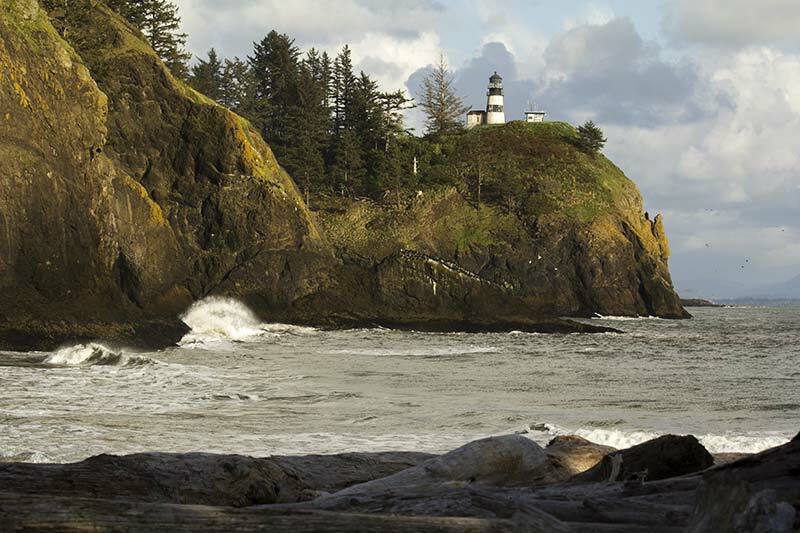 It was named Cape Disappointment by an English fur trader/merchant of dubious reputation, John Meares. There is a wicked sandbar at the mouth of the river. It looks like the waves are breaking way out in the ocean. Because of this dangerous feature, Captain Mears could not enter the Columbia River and gave the area this name. A lighthouse was built on the 200ft bluff to warn other seamen of the danger entering the River. 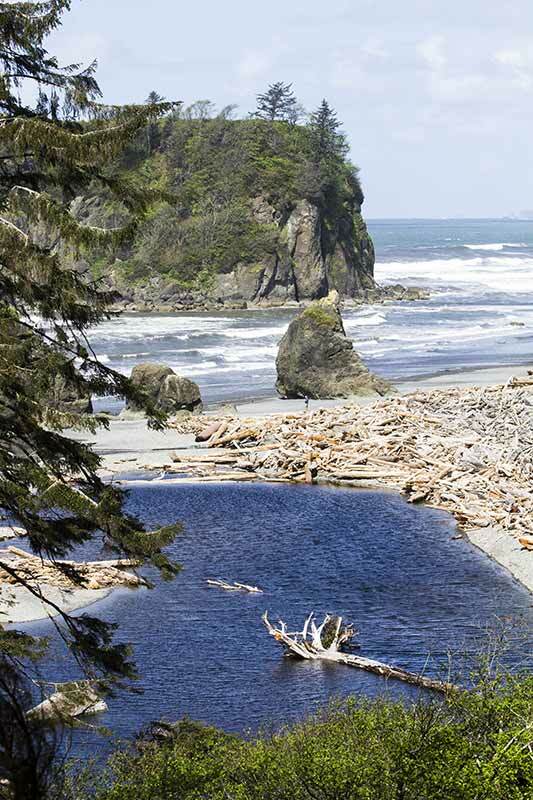 In 1805 Lewis and Clark showed up and wondered how the peaceful Pacific could be so wild. They camped here, but the weather was so miserable they relocated to the south side of the River. to try to understand the geography of the place and to take photos, not realizing the importance of the art I was standing on. Of course, people come to Cape Disappointment for many reasons. This one looked pretty cold and dangerous to me! On into California participating in fun-and-death with impatient 18wheelers. The time saved was much too stressful. the place to find everything needed to add color to fiber. In my case I needed to pick up a large roll of paper-backed silk for inkjet printing. When the warp and weft are straight it makes wonderful hangings. New project in the works…. printing some of my “discovered figures”, photos, and street rubbings on this luscious fabric. Then doing everything possible to contrast its beauty with violence. Don’t ask why. I don’t know yet. Up the California coast on 101 this time. Precious stops in Coastal Redwood groves. I don’t know of anything more quieting than just BEING in a grove of these trees, tallest on the planet. Something in their bark just seems to neutralize all the poisons. And these are not even old growth! My sources tell me that Lewis and Clark and Co. did not like fresh fish, like salmon. 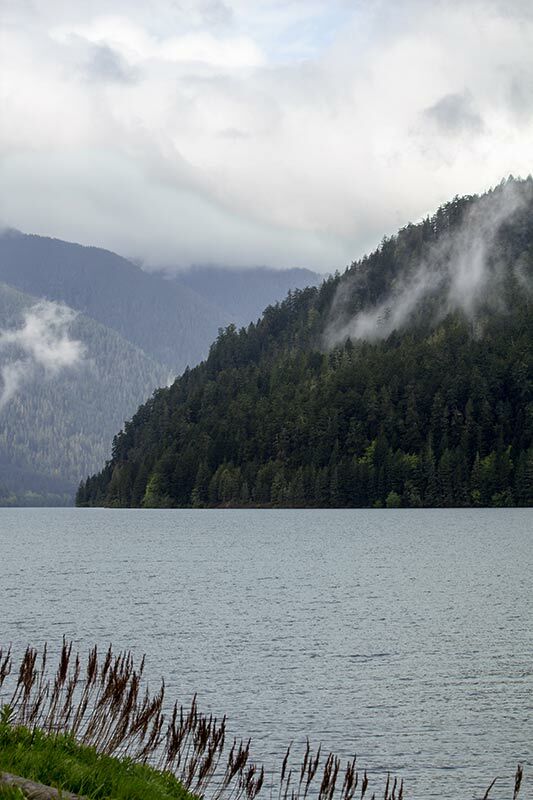 Sick of the weather on the north side of the Columbia and sick of being hungry and sick, they took the advice of local Indians who told them that there were elk on the southern shore of the River. When the weather cleared enough for the company to trust their boats to the waters they came upon herds of this. Their name means something like “knuckle bones” in Afrikaans. They were developed South Africa in the 1960s to protect jetties by dissipating the energy of incoming water rather than blocking it. Genius. Does Life imitate Art or what?! Another “arresting” sight on the side of the road! Path to the Elwah River and the site of the dam that is no more. Getting close to home, where it almost always smells like summer camp. 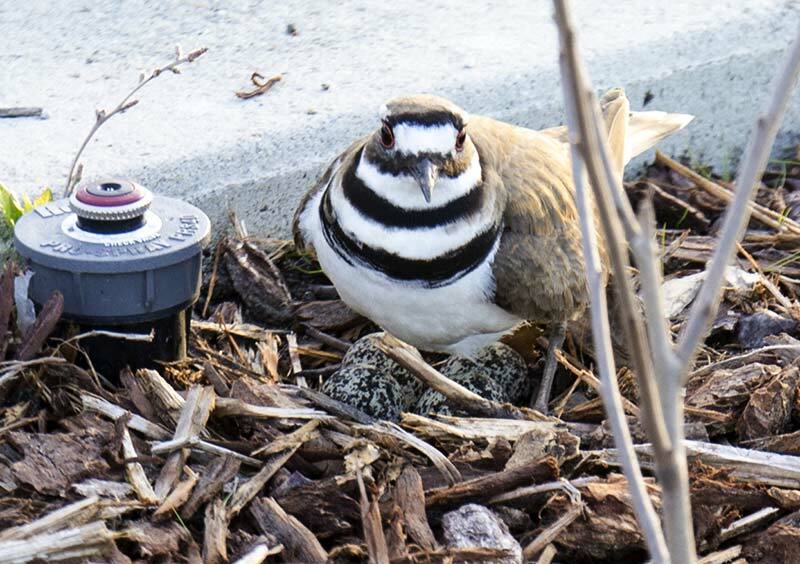 Finally home, and after a hunny smooch, a trip over to check on Ms. Killdeer. As I suspected might happen, the eggs have hatched. Three nestlings running about catching bugs, but it seems that a crow made a meal of the fourth. Three hatchlings. The twins seem to think they are posing for Diane Arbus. Beautiful Jan! You covered so much territory, even to Cape Town! Impressive! Ok, but your pictures are awesome and we enjoyed seeing you here in not so picturesque Hayward. I’m glad you got to see the Kline Clan in action and they got to see you. Glad you liked it. And thanks again for the fluffy bed and the (much needed) shower! oolah is a fun spirit! and the road trip held lots of rewards~like the dharma trading company’s silk-paper for digi printing . . . looks fabulous!